Due to the Partition of India into India and Pakistan in August 1947, the Grand Lodge of All Scottish Freemasonry in India changed its nomenclature from November 1948 to Grand Lodge of United Scottish Freemasonry of India and Pakistan. Upto now all the Grand Masters were appointed from Brethren, who permanently resided at Bombay. In 1955, there was a first departure from this practice by the appointment of Bro. Nawab of Rampur as the Grand Master. On 9th March 1959, the Most Worshipful Immediate Past Grand Master Mason, Bro. The Right Honourable Lord Alexander G. MacDonald and the Grand Secretary, Bro. Dr. Alexander F. Buchan visited the Grand Lodge of United Scottish Freemasonry of India and Ceylon. The three Grand Masters agreed that the Irish representative, Rt. Wor. Bro. Lt. Gen. Sir Harold Williams should be the Chairman of the Steering Committee. The Steering Committee then proceeded to draw up the details for the establishment of the Grand Lodge of India at New Delhi. The Lodges under the English, Irish and Scottish Constitutions were permitted to opt to join the Grand Lodge of India from the aforesaid Constitutions. However, where Lodges decided not to form part of the new independent Grand Lodge of India, they and their members would continue to enjoy their existing rights and privileges, under their respective Grand Lodges. More or less identical Concordats were drawn up by the three Grand Lodges and signed individually with the Grand Lodge of India soon after its inauguration in 1961. At the Quarterly Communication of the Grand Lodge of Scotland held in Edinburgh on 30th August 1961, it was decided that for better supervision of those Lodges in India and Ceylon, which had not opted to join the Grand Lodge of India (Constituted on 24th November 1961), two District Grand Lodges should be erected instead of the Grand Lodge of United Scottish Freemasonry in India and Ceylon, to be known as the District Grand Lodge of Western India and the District Grand Lodge of Eastern India. As a general principle, all Lodges west of longitude 76° E were assigned to the District Grand Lodge of Western India and all Lodges lying east of longitude 76° E were assigned to the District Grand Lodge of Eastern India. At an Especial Communication held at Bombay on 16th March 1962, the District Grand Lodge of Western India was consecrated by Bro. Cyrus F. Minwalla, Rt. Wor. District Grand Master of The District Grand Lodge of Pakistan, and Bro. Dr. Sorab M. Khambatta of revered memory, was installed as its first Rt. Wor. District Grand Master. The District had 26 Lodges under its jurisdiction. On 14th February 1967, the Most Worshipful Grand Master Mason, Bro. Major Sir Ronald Orr Ewing re-installed Bro. Dr. Khambatta as the Rt. Wor. District Grand Master for a second term, assisted by the Grand Secretary, Bro. Dr. Alexander F. Buchan. During his regime, the Masonic Medical Benefit Scheme came into existence in 1969. This Scheme is recognised and open to brethren of all the Constitutions, and their families. Thirty years later, this Scheme still functions and provides relief to its members. During their visit to India, the Most Worshipful Grand Master Mason, Bro. Major Sir Ronald Orr Ewing assisted by the Grand Secretary, Bro. Dr. Alexander F. Buchan carried out the Re-dedication Ceremony on the occasion of the Centenary of Lodge Barton No. 475. Lonavla on 13th February 1967. On 19th April 1969, Bro. Albert Bernard Turner was installed as the Rt. Wor. District Grand Master by Bro. Edward Ira Brown, Rt. Wor. District Grand Master of the District Grand Lodge of Eastern India (S.C.). With tact and devotion, Bro. Turner guided the District for nine years. In February 1978, the Most Worshipful Grand Master Mason of Scotland, Brother Capt. Robert Wolrige Gordon of Esselmont visited India, accompanied by the Rt. Wor. Grand Secretary, Brother E. Stuart Falconer, and on 17th February 1978 installed Bro. Noshir Muluk Irani as the Rt. Wor. District Grand Master. Bro. Irani brought energetic enthusiasm, administrative ability and business acumen to his Office. In 1978, Bro. Ardeshir P Bhandari relinquished the office of District Grand Secretary after sixteen years. In 1981, after a term of nineteen years as Assistant District Grand Secretary, followed by three years as District Grand Secretary, Bro. Rusi P. Pavri, a third generation mason retired. On 20th December 1980, Bro. Sir James McKay, the Most Worshipful Grand Master Mason visited the District Grand Lodge, accompanied by Bro. E. Stuart Falconer, Rt. Wor. Grand Secretary. On 26th February 1983, Bro. Sir James McKay, the Most Worshipful Grand Master Mason again visited the District Grand Lodge and assisted by Bro. E. Stuart Falconer, Grand Secretary, re-installed Bro. Irani as the District Grand Master for a second term, at a glittering ceremony at the President Hotel. Lady McKay had accompanied Bro. McKay on the visit to India. Bro. Irani passed away on 31st January 1985, without completing his second term. On 26th October 1985, Bro. Ratan Naoroji Contractor was installed as the Rt. Wor. District Grand Master by Bro. Shavak P. Dadachanji, Hon. Depute District Grand Master. On 18th November 1985, Bro. James M. Marcus Humphrey of Dinnet, the Most Worshipful Grand Master Mason visited the District Grand Lodge at its Annual Installation Convocation, accompanied by Bro. Arthur O. Hazel, Grand Secretary. Known for his philanthropy, Bro. Contractor was a very popular and well loved District Grand Master. On his passing away in 1987 before the end of his term, brethren of the District consecrated a Royal Arch Chapter in his name under the Supreme Grand Royal Arch Chapter of Scotland, which has the largest number of members on its rolls today. Bro. Contractor often dug deep into his pocket in the cause of charity and even today his legacy is carried on by the Administrators of his Estate, who over the last six years have donated munificent sums to the Benevolent Fund of the District Grand Lodge -- the total to-date being over Rupees 28,00,000 (Rupees 2.8 million). Bro. Shavak P. Dadchanji was installed as the District Grand Master in 1987 by Bro. A. E. G. Gilbert, District Grand Master of Bombay (E.C.). During his regime, the Masonic Medical Benefit Scheme was revamped and brought in line with the requirements of the times. Bro. Dadachanji also started the Masonic Education Fund, to benefit the brethren in improving and increasing their Masonic knowledge. At an Especial Communication held at Calcutta on 24th July 1962, the District Grand Lodge of Eastern India was consecrated by Bro. P. G. Clark, Rt. Wor. District Grand Master of The Middle East, (S.C.) and Bro. William George Miller was installed as its first Rt. Wor. District Grand Master. Amongst the Visitors present were Bro. Sorab M. Khambatta, Rt. Wor. District Grand Master of the District Grand Lodge of Western India along with a Deputation, and Bro. Cyrus F. Minwalla, Rt. Wor. District Grand Master of the District Grand Lodge of Pakistan (S.C.). Bro. Clarence Veitch was appointed as the District Grand Secretary, an office he held till 1968. The District had 9 Lodges under its jurisdiction, of which 7 were in Calcutta. At the Communication of the District Grand Lodge held on 30th March 1966, the District Grand Master had several depressing items of news to convey; Lodge St. James in the East, No. 1127, Calcutta had surrendered its Charter in January 1966 due to lack of support. Several senior Brethren had returned to Great Britain leaving several Lodges in difficulties. Also, the District Grand Secretary, Bro. C. Veitch was due to leave in less than three months. Bro. Ivan Goss took over as the Acting District Grand Secretary from Bro. C. Veitch at that meeting, and was formally obligated as the District Grand Secretary at the Annual Installation Communication on 30th November 1966. At a Special Communication held on 17th February 1967, Bro. Edward Ira Brown was installed as the Rt. Wor. District Grand Master by the Most Worshipful Grand Master Mason, Bro. Major Sir Ronald Orr Ewing accompanied by the Grand Secretary, Bro. Dr. Alexander F. Buchan. This is reported to be the first Masonic visit by a Grand Master Mason to Bengal.The next day, 18th February 1967, the Most Worshipful Grand Master Mason, Bro. Major Sir Ronald Orr Ewing performed the Rededication Ceremony on the occasion of the Centenary of Lodge Endeavour No. 474. During his visit, the Most Worshipful Grand Master Mason, Bro. Major Sir Ronald Orr Ewing performed the Rededication Ceremony on the occasion of the Centenary of Lodge Endeavour No. 474. Bro. Ivan Goss was installed in 1970 as the Rt. Wor. District Grand Master by Bro. Edward Ira Brown and Bro. Maurice L. Broughton was appointed as the District Grand Secretary. In 1974, Lodge Calcutta Kilwinning No. 1131 and Lodge Doric No. 1295, both in Calcutta, surrendered their Charters, due to lack of support. In the following year, 1975, Lodge Albyn No. 813, Calcutta also surrendered its Charter due to lack of support. The District then had only 5 Lodges under its jurisdiction. Bro. Ivan Goss installed Bro. Boris Alexis Yashanoff as the Rt. Wor. District Grand Master on 5th April 1976. Bro. Oliver Leslie James Milligan was appointed as the District Grand Secretary, an office he held till 1980. The Installation Communication was followed by a Ladies Night at The Swiss Club. Bro. Boris A. Yashanoff died suddenly in mid-1976, and Bro. Tayebbhai Mohomedali Zarif, the Depute District Grand Master took charge of the Distirct. On 29th June 1977, Bro. Ivan Goss, Past District Grand Master installed Bro. T. M. Zarif as the Rt. Wor. District Grand Master. Due to ill health, Bro. Zarif relinquished office after two years. On 26th March 1979, Bro. Saroj Kumar Mehera was installed as the Rt. Wor. District Grand Master by Bro. Ivan Goss, an office he held till he completed his 5 year term in office. This was the third District Grand Master that Bro. Ivan Goss had installed within a period of three years. The Installation Communication was followed by a Ladies Night at the residence of Bro. Mehera. Due to frequent absences of the District Grand Secretary, Bro. Milligan, Bro. Hari Singh functioned as the Acting District Grand Secretary. In March 1983 the Most Worshipful Grand Master Mason, Bro. Sir James McKay accompanied by Lady McKay and the Rt. Wor. Grand Secretary, Bro. E. Stuart Falconer visited Calcutta. A Special Communication of the District Grand Lodge was held on 1st March 1983, which was attended by Bro. Noshir Irani, the District Grand Master of Western India. A Ladies Night followed the Communication at the residence of Bro. Mehera. Bro. Hari Singh was installed on 17th August 1984 as the Rt. Wor. District Grand Master by Bro. Saroj K. Mehera. Bro. Hari Singh continued as the Acting District Grand Secretary till 1989 when Bro. Ibrahim T. Zarif, son of the earlier Rt. Wor. District Grand Master, Bro. Tayebbhai M. Zarif was appointed as the District Grand Secretary. In 1985, Lodge Madras No. 1342, Madras opted to attach itself to the District Grand Lodge of Western India. In 1989, Lodge Heather No. 928, at Munnar in the tea estates in South India followed suit, to attach itself to the District Grand Lodge of Western India. Only three Lodges now remained under the jurisdiction of this District, till it was merged with the District Grand Lodge of Western India in November 1992. 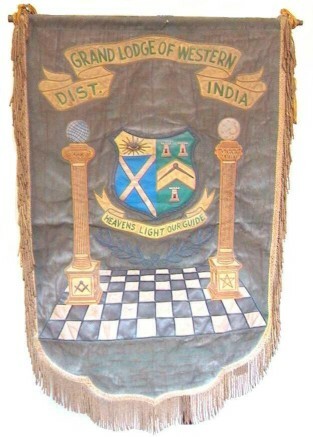 In keeping with the changing Masonic scenario in India, and due to lack of adequate support to the three Lodges in Calcutta under the District Grand Lodge of Eastern India, the Grand Lodge of Scotland applied the wisdom it wisely adopted 58 years ago in 1934, and decided in 1992 that it would be desirable to have only one District in India. As the District Grand Lodge of Western India was functioning smoothly with 26 Lodges under it, the Grand Lodge of Scotland decided to merge the Lodges in Calcutta into the District Grand Lodge of Western India, so that there would be only one District, to be named as the District Grand Lodge of India, having jurisdiction covering the entire country. Sadly, Bro. Dadachanji, the District Grand Master of Western India who was slated to become the first Rt. Wor. District Grand Master of India did not live to see the birth of the new District Grand Lodge of India, having passed away on 19th November 1991, and Bro. Dhunjishaw D. Karkaria, the Depute District Grand Master took charge of the District. Bro. Dhunjishaw D. Karkaria was installed as the first District Grand Master of India of the newly formed District Grand Lodge of India in November 1992 by Rt. Wor. Bro. Capt. Sam B. Aga, Rt. Wor. Provincial Grand Master of the Provincial Grand Lodge of Ireland in India. The year 1992 brought turmoil amongst freemasons in India, with the Grand Lodge of India making changes in their Book of Constitution which, amongst others, imposed restrictions on their members having dual membership with Lodges under the three Grand Lodges of England, Ireland and Scotland. These changes not being in conformity with the settled terms of the Concordat of 1961, resulted in the withdrawal of recognition of the Grand Lodge of India by the three Home Grand Lodges, the Grand Lodge of Scotland doing so in 1993. For five years, Bro. Karkaria's regime bore the brunt of this discord amongst Freemasons in India, and he tactfully steered the District Grand Lodge during this difficult period. During the last two years of his regime, unsuccessful attempts were made to restore amity, although it was the fervent wish and desire of an overwhelming majority of Freemasons of all hues in India, that an amicable reconciliation takes place soon. On 16th February 1993, Bro. Brigadier Sir Gregor MacGregor of MacGregor, Bart., the Most Worshipful Grand Master Mason visited the District Grand Lodge at Bombay, accompanied by Bro. Arthur O. Hazel, Rt. Wor. Grand Secretary. On 5th December 1994, Lodge Zoroaster No. 800 celebrated its Centenary. Just over a week later, on 14th December 1994, Lodge Rising Star of Western India No. 342, the oldest Scottish Lodge in India, celebrated its completion of 151 glorious years. Lodge Universal Peace No. 1208, not having adequate support in Calcutta, was shifted to Secunderabad in 1996. The regime of Bro. Karkaria also saw, as a part of Masonic education, the birth of 'The Indian Mason', a quarterly publication dedicated to increasing Masonic knowledge amongst brethren of the District. This publication has been well received by all. Bro. Bomi S. Mehta took charge of the District as the District Grand Master of India from Bro. Dhunjishaw D. Karkaria on 6th November 1997, to lead the District into the 21st Century. In February 1998, the Most Worshipful Grand Master Mason, Bro. The Right Honourable The Lord Burton, accompanied by Lady Coralie Burton and the Rt. Wor. Grand Secretary, Bro. C. Martin McGibbon visited India. They visited Lodge Madras No. 1342 in Chennai on 12th February, followed by a visit to Lodge Barton No. 475, Lonavla at its Installation Meeting on 14th February and a visit to Lodge St. Andrews in the East No. 343, Pune a day later. On 16th February, 1998 the Most Worshipful Grand Master Mason, Bro. The Right Honourable The Lord Burton installed Bro. Bomi S. Mehta as the Rt. Wor. District Grand Master, with the Sandhurst Temple in Freemasons' Hall, Mumbai (as Bombay is now called) overflowing with Brethren. Amongst the distinguished visitors was Bro. David K. H. Lai, Rt. Wor. District Grand Master of the Middle East (S.C.), Kuala Lumpur, probably the first visit by a District Grand Master of that District to Mumbai. On 26th November 1998, the Most Worshipful Grand Master of the Grand Lodge of Ireland, Most Worshipful Bro. Darwin H. Templeton accompanied by his Rt. Wor. Assistant Grand Master, Rt. Wor. Bro. Kenneth J. G. Patterson, attended the Annual Installation Communication of the District Grand Lodge in Mumbai. On 23rd September 2000, Lodge Madras No. 1342 in Madras, celebrated its Platinum Jubilee with a Re-dedication Ceremony conducted by the District Grand Master, followed by a Thanksgiving Service. This was followed by Lodge Cataract No. 909, Belgaum celebrating their Centenary in grand style. The 50-piece Band of the Maratha Light Infantry Regimental Centre entertained over 400 Brethren, their wives and guests. The Re-dedication Ceremony was conducted by the District Grand Master on 11th November 2000 in the presence of a large number of Visiting Brethren from Sister Lodges, and included Scottish, English and Irish Brethren from Lodges in Malaysia and Singapore, who had specially come for the Celebrations. A special Malt Whisky labelled Gokak No. 909 specially distilled for the occasion by two of the members at their distillery was uncorked at the festive board -- probably the first time this has happened in India. On 22nd February 2002, Lodge Heather No. 928 at Munnar in the High Ranges of South India, celebrated its Centenary with a Re-dedication Ceremony conducted by the District Grand Master, followed by their traditional candle-light banquet in the High Range Club, filled with ladies and guests. Visiting Brethren from Scottish Lodges in Malaysia added glamour to the proceedings. On 29th November 2002, Bro. Bomi S. Mehta was re-installed as the District Grand Master for a second term, by the Immediate Past District Grand Master, Bro. Dhunjishaw D. Karkaria. On the occasion, the Rt. Wor. District Grand Master of the Middle East (S.C.) in Kuala Lumpur, Malaysia, was represented by his Wor. Substitute District Grand Master, Bro. Dr. Dunstan Fernandez. We sincerely dream that in the 21st Century, love, peace and harmony will return amongst Freemasons in our country. In another 11 years, we will be celebrating the 175th Anniversary of the founding of Scottish Freemasonry in India and we hope and pray that the world will be a better place to live in then. The District Grand Lodge has at present under its jurisdiction 29 Daughter Lodges and over 1200 members. We view its progress with gratification and satisfaction. It now stands on a solid foundation with a strong edifice, beautiful from outside and peaceful from within, gradually raised by the selfless services, and dedicated devotion of great masons, who headed and directed its destiny, and whose achievements and accomplishments cannot not be individually and specifically mentioned here. At the same time, we cannot ignore the silent and solid contribution of our members, past and present, known and unknown, who have sincerely striven to uphold the rich heritage of our Order by the faithful and fruitful practice of all its tenets. We are grateful to Bro. Dhunjishaw D. Karkaria, our Immediate Past District Grand Master for his tactful and devoted stewardship of five years from 1992 to 1998. We are glad that our Daughter Lodges have always dutifully and solidly stood by our side. "We thank Thee, Most High for Thy manifold mercies. Grant that we complete our allotted task to our joy and Thy Glory." Amen.